Come and enjoy fun filled nights we are having for families at the Hope Zoo. Sleep out under the stars, surrounded by the sounds of the animals. 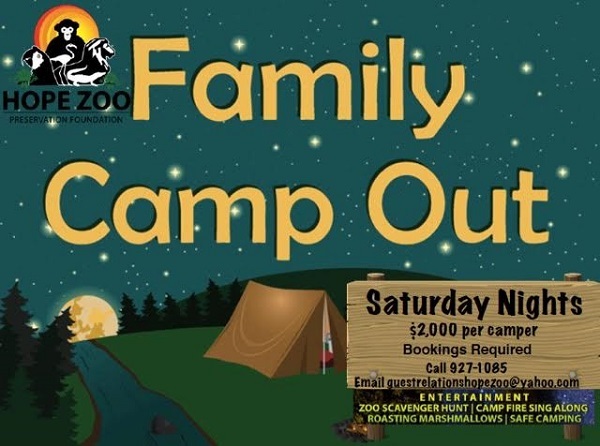 Enjoy a Zoo night walk, art activities, story time and marsh mellow roasting around the camp fire. And parents can relax and enjoy themselves while we entertain the kids. CALL 927-1085 – Limited space available.